Nigerian-born Monisola was taken into the British government’s custody in 2013, following multiple injuries he sustained in a domestic accident at his aunt’s residence in London when he was a year old. The London Metropolitan Police accused his mother of causing him “non-accidental injury” after a medical examination was carried out at the Queen Elizabeth Hospital in London. The UK authorities took custody of the boy in July 2012 after a Bromley County Court ruled that he was “at the risk of significant harm” for his mother’s failure to notice injuries in his head after the accident. 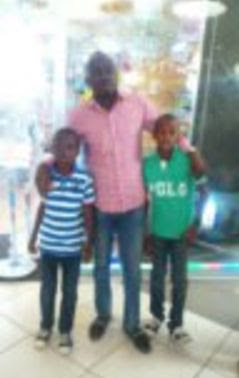 The inability of his parents to have unrestricted access to him in the past five years is destabilising the Bakre family, with the troubled father telling his wife, Folashade, not to return to Nigeria without their son. In its September 15, 2015 judgment on Case Number BR15Z00878 filed by the London Borough of Bexley, the London Family Court at Bromley ordered that the applicant “is authorised to place the child for adoption with any prospective adopters who may be chosen by the authority”. Bakre rejected the judgment, saying the UK government does not have legal and moral rights to take full custody of his son. Monisola, the father said, was born in Nigeria and does not have dual citizenship. In his petition titled: Illegal attempt to consider Monisola Muiz Bakre for adoption by the Government of United Kingdom , addressed to the Ministry of Foreign Affairs in Abuja, Bakre said the British government had denied him the rights to administer paternal care on his child. He said the UK authorities barred him from seeing his child by denying him visa, noting that the last time he physically saw his son was when he was one-year-old. Just after his first birthday, Monisola was taken to London by his mother on May 27, 2012 on a visit to his paternal aunt, Mrs Angel Bakre. The Nation gathered that the boy suffered a displaced fracture to the right femur, a metaphyseal fracture to the lower humerus, a right parietal fracture to the skull, a fracture of the first metatarsal bone and cut to the lip. The Metropolitan Police detained his mother for questioning. Monisola was admitted at the Queen Elizabeth Hospital. After medical examination, the London Borough of Bexley temporarily placed the boy under a guardian, Mr Peter Witchlow. The London Borough of Bexley then approached the Bromley County Court to take full custody of the child. On February 1, 2013, while delivering judgment in a Case Number DF12C00098, Redgrave posited that Mrs Bakre and her sister-in-law, Angel, were in the pool of possible perpetrators of the harm Monisola suffered. The judge said: “There is no evidence to support a finding that she (Monisola’s mother) caused harm to him by administering non-prescriptive drugs without medical reason or failed to provide him adequate nutrition… failed to seek medical treatment for skin lesions, and left him in the care of the aunt for eight hours when he had a cut lip and she knew he was unwell. This judgment empowered the London Borough of Bexley to reach the decision that Monisola should not be returned to his mother for care. The London Borough of Bexley contacted Bakre in Nigeria to nominate a caregiver for the child. The Nation gathered that Bakre nominated four persons, including Manchester-based Mr Deen and Abiola Mayodele, and Lagos-based family member, Mr Femi Ashi Sulaiman, and mother-in-law, Mrs Oyindamola Aina. 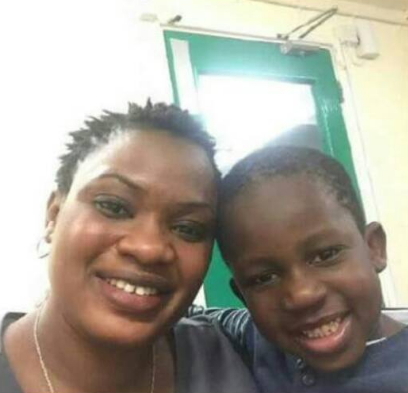 After assessment of the nominated caregivers, the London Borough of Bexley chose to place the child under the care of the Manchester-based Mayodele family with a clause that Mrs Folashade should be given a supervised access to her son. Eleven months after, it was learnt that Mayodele family indicated it could no longer care for the child, sending Monisola back to the custody of London Borough of Bexley. Bakre said his application to take custody of his son was turned down by the UK authorities, adding that his plea for bringing in other nominated caregivers was also rejected. The Nation gathered that the London Borough of Bexley approached the court to consider the child for adoption after the Mayodele family withdrew its care. While the proceedings for adoption for the child were going on in the Family Court of Bromley, Bakre applied for a visitor’s visa to see his child. His application was refused. When he appealed against the decision of the Entry Clearance Officer of the British High Commission in Lagos, the court granted Bakre’s appeal and imposed a fine of £60 on the High Commission. The Entry Clearance Officer of British High Commission allegedly flouted the appeal and refused to grant Bakre visa. The Entry Clearance Officer, it was gathered, also flouted the order by the London Family Court of Bromley, which asked the British High Commission to accelerate the visa application made by Bakre to visit the UK on the matter. Besides, his wife is not allowed to travel home to resume her work at Bariga Local Government Area of Lagos. Her international passport was allegedly seized by the UK authorities. Bakre said his wife had been subjected to harsh living conditions, noting that the British government did not provide any financial support for her. As Monisola remains in the custody of the British government, the parents are only allowed an occasional access to their son. The mother is only allowed to see her son for only two hours in every 90 days, while the father is allowed to speak to Monisola on the phone for only 20 minutes in the same period. saying it was morally and legally wrong for the UK authorities to “forcefully” take custody of a child that was not born in their territory. He urged the Federal Government through the Ministry of Foreign Affairs to wade into the matter. Bakre wants his child and wife returned to him unconditionally, saying he has responsibility to bring his son up in line with tenets of Islam and Yoruba culture. He said: “We want the UK government to know that Monisola’s parents are Nigerians of Islam faith. We prefer our child be brought up with morals in line with our culture and religion. If the child remains in the UK custody, we cannot guarantee our obligation would be performed on the child.